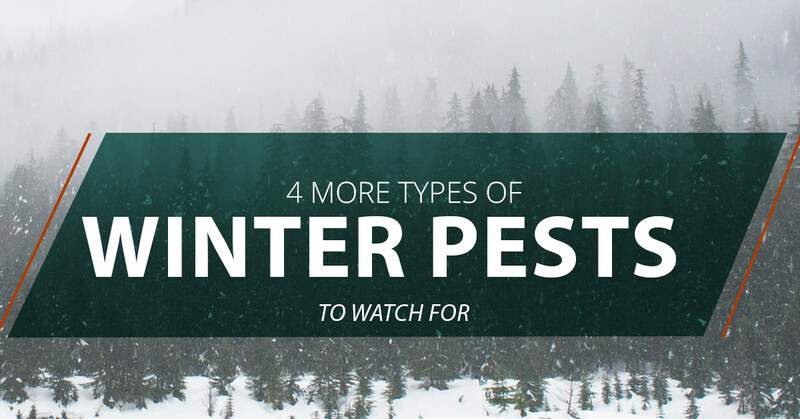 You may think you’re safe from pest infestations now that the outside temperature has dropped and the rain is turning into snow, but in fact, winter weather may be the force encouraging pests to enter your home. Northwest K9 Bed Bug Detectives and Pest Control is here to help year-round, and in today’s blog, we continue our series on the kinds of pests you need to watch for even during the winter. Read on to learn more and contact us today to schedule your inspection! We all know cockroaches are nearly indestructible, but they are susceptible to cold weather. Roaches typically go dormant or die once temperatures dip below 50 degrees, but they can avoid those consequences by hiding in your home. It’s important to keep watch for these critters because they can contaminate your food sources, spread disease, and trigger allergies. There is a common misconception that spiders die in the winter, but in fact, they simply enter a slower, more inactive state. House spiders and brown recluse spiders alike tend to settle in undisturbed places like your closet, attic, or crawl space, and you should be especially cautious if you haven’t poked in those corners since spring cleaning. Brown recluse spiders have a venomous bite that can be fatal. Keep your space clean and tidy to avoid potential interactions, and call pest control professionals like Northwest K9 if you find yourself facing spiders. Ants of all kinds, including house ants, pavement ants, and carpenter ants, stay active throughout the year. They typically hunker down in their colonies for the winter, but they’ll make themselves at home inside your house if they can find sources of food and water. Some species may even have recently hatched young ones roaming your halls. As much as we wish bedbugs would hibernate for the winter, like many of us, they’re looking for someplace cozy and someone warm to snuggle up to during the cold winter months. Signs to watch for are bites in the night and dead bedbugs hanging out beneath mattress pads and mattresses. If you suspect bedbugs might be in your house or apartment, don’t hesitate to call us! 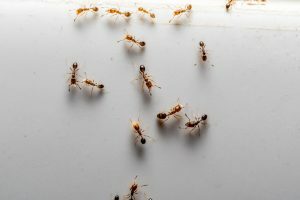 You have a lot of yummy treats and ingredients in your pantry this time of year, and there are plenty of pests who will help themselves if they can. Indian meal moths, flour beetles, and cigarette beetles can all be a nuisance in the winter. Avoid an infestation by sealing and storing your food. If you find anything that has been nibbled on, discard it and call Northwest K9 Pest Control! There are a few steps you can take to avoid these pests and the rats and mice we mentioned in our previous blog post. On the outside of your home, your best line of defense is to seal up any holes and cracks you find and store firewood away from the house in order to eliminate entry points into your home. Inside, do your best to keep your home clean and tidy so unwelcome visitors have nowhere to hide. Sweep up crumbs, sweep away spiderwebs you see, and regularly clean the space around your appliances. You should also be on the lookout for leaks and dripping pipes, as these plumbing problems can provide all kinds of pests with a water source. Stay safe and comfortable this winter with help from Northwest K9 Bed Bug Detectives and Pest Control! We’ll help you get rid of the pests listed here and more with experienced professionals and thorough treatments. Trust the Top Rated Local® pest control team for Seattle and beyond, and call Northwest K9 Pest Control today!